Christian Democratic Union (CDU) party leader and German Chancellor Angela Merkel attends a news conference at the CDU party headquarters in Berlin, Germany, October 16, 2017. BERLIN - German Chancellor Angela Merkel said on Monday that the strong showing of Austria’s anti-immigrant Freedom Party (FPO) in Sunday’s election was a “big challenge” for other parties. 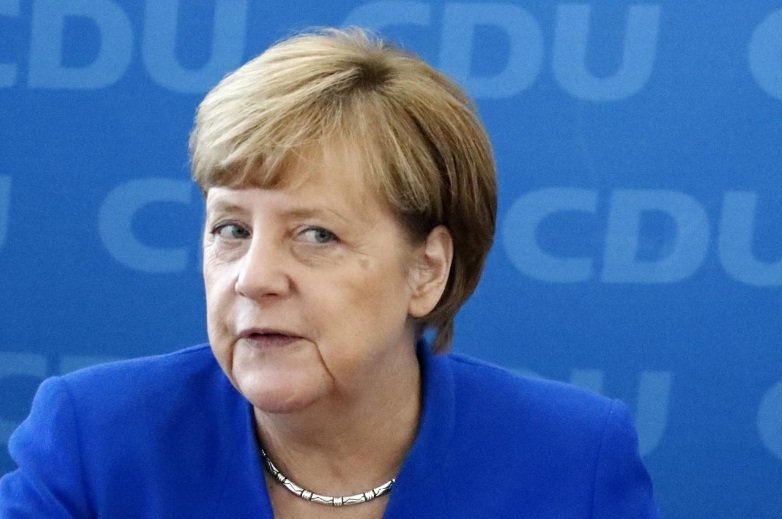 Speaking at a news conference in Berlin, Merkel added that she was hoping for close cooperation with Austria’s conservative election winner Sebastian Kurz at the European level. German Chancellor Angela Merkel said on Monday that the strong showing of Austria’s anti-immigrant Freedom Party (FPO) in Sunday’s election was a “big challenge” for other parties.